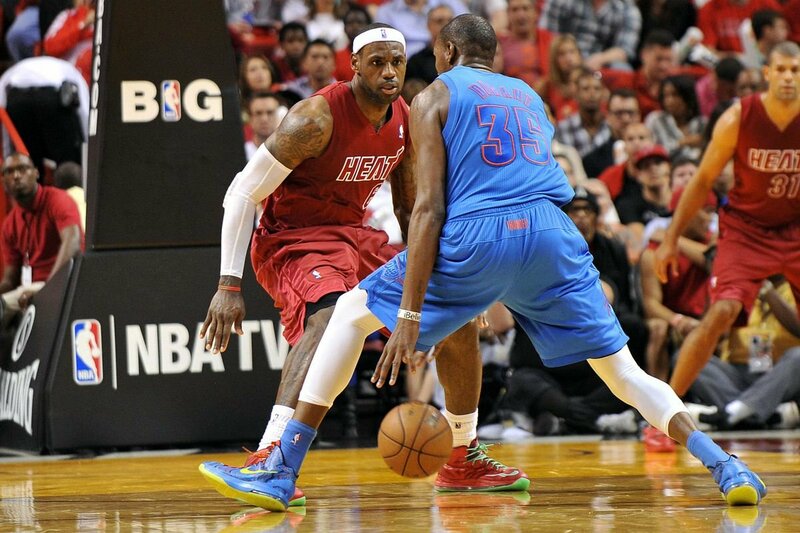 In 2012, Kevin Durant, Russell Westbrook, and James Harden would all make it to the NBA Finals to face LeBron James, Dwayne Wade, and Chris Bosh. The Miami Heat would then go on to win that finals series, 4-1. James would then go on to appear in five more NBA Finals to Durant’s one. 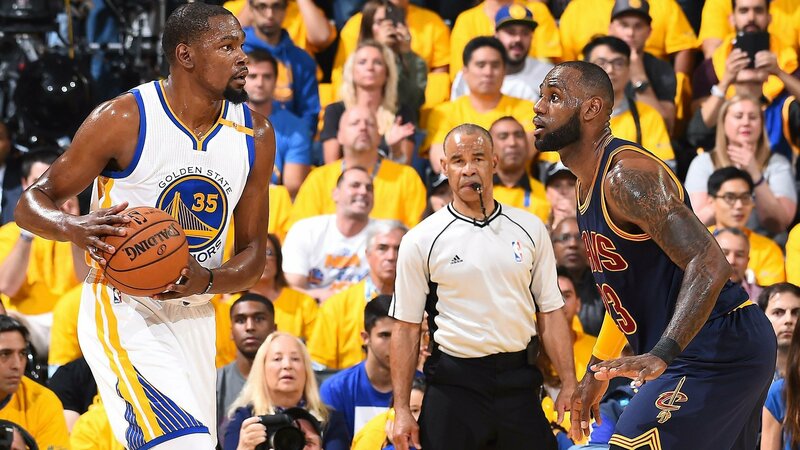 Many will try to argue that Durant is better than James after the 2017 NBA Finals, where a stacked Warriors team beat a stacked Cavaliers team. Many will try to use stats to tell you that Durant is better than James. Many would tell you that James would’ve had a 1-4 record in the Finals had he never went to South Beach. Many would tell you that James made a model that Durant is just following. 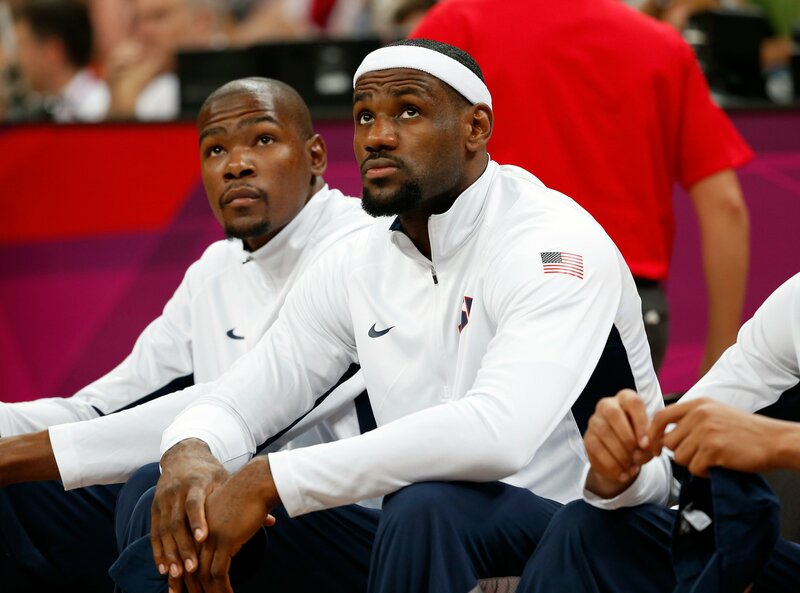 When it comes down to it, is the Kevin Durant v. LeBron James argument really a debate though? James was drafted in 2003 and Durant was drafted in 2007. As James was and still is being compared to Michael Jordan and Kobe Bryant before him… Durant is being compared to James. If we compare stats and awards through the years, James is by far the better player. The way he ultimately makes a team better. Durant is definitely number 2, but the debate that has been going on for years, continues. Stat-wise, James leads Durant in total rebound percentage (TRB%) and assists per game (APG) career wise and the two are tied in points per game (PPG) category. The argument of Durant being the better player right now comes from the 2017 NBA Finals. The stats sheet has Durant leading James in two categories, points per game and blocks per game. Durant lead James by 1.6 points in that category. James lead in rebounds by 3.8 and assists by 4.6. Durant lead in blocks by .6, and James lead in steals by .4. The two are pretty much neck and neck, but the overall edge goes to James. The biggest point made in the Durant v. James argument is the three-point shot that was one of the greatest daggers in sports. 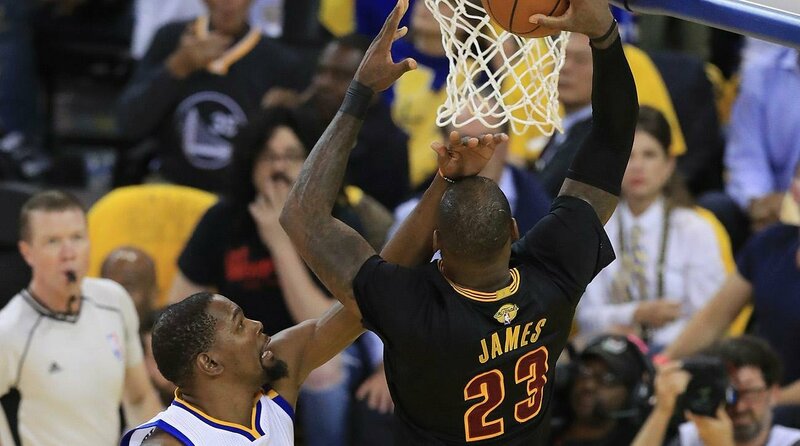 Durant’s three in game three of the 2017 finals that he hit over James in Cleveland has been used as the biggest part of the argument today. Yes, Durant’s three was clutch, but is the one shot that decides who’s better? I mean, statistically James had the better series. People are bringing up Christmas day to say that Durant is better. They both played amazingly, but again James led in all categories except blocks. James also leads Durant in awards. James has four MVPs, three NBA titles, three Finals MVPs among many others. Durant only has one of each so far. James is even making a case for another MVP this season. He’s having one of the best seasons of his career so far. They are also in very different situations as far as teams are concerned. Yes, James basically built his team. Durant joined a team that gave him a late exit out of the playoffs, went 73-9 for the 2016-2017 season and had three All-Stars. James, first joined a Miami Heat team, that had a 47-35 record the previous year and got bounced out the playoffs by the Boston Celtics, 4-1. Yes, the Heat since then added James and Bosh, but other than that, the team was pretty much the same. Then, James went home to Cleveland and joined a Cavs team that had a 33-49 record the previous season for the 2014-2015 season. Yes, he asked for the addition of Kevin Love, but they have been to the finals every year since all of that happened. The Golden State Warriors made it to the finals before Durant’s arrival and had the best regular season record in NBA history with Durant on the team. Basically, LeBron James is still the greatest current basketball player on the planet. Durant is definitely second on that list, but he’s got some catching up to do. James is still working on his legacy and will only add on to his list of accomplishments. Durant, may or may not catch up to James, but I don’t know why we constantly must compare players to each other, but we do. In this case, there is truly no comparison. 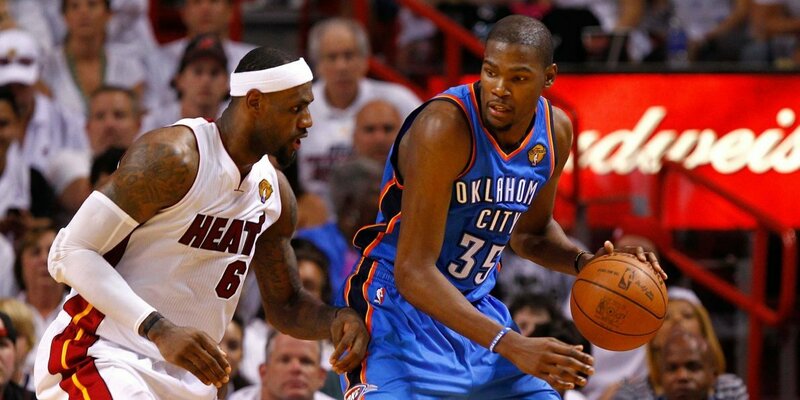 Yes, Durant has had some good head to head matchups against James. He hasn’t achieved the greatness that James has or owned James like James has owned him. James averaging a triple-double in the NBA Finals this past year is proof of that. We should all enjoy this while it last. These are the two of the best current basketball players on the planet, and they give us, fans, an amazing show every time they matchup. 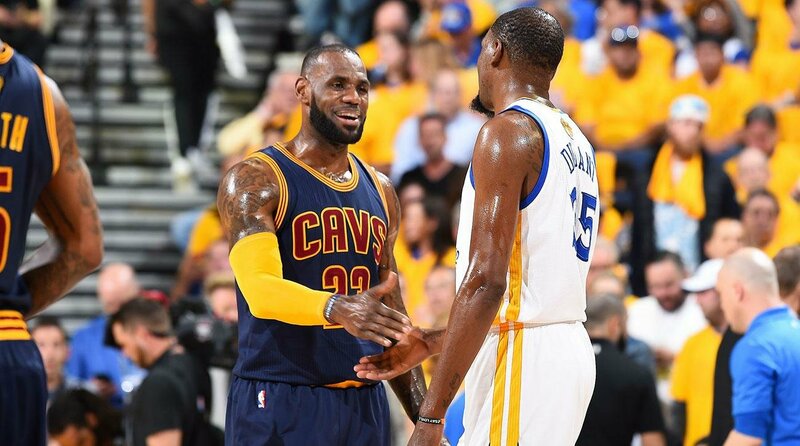 However as much as the comments are being made and the conversation continues to be talked about… LeBron James is better than Kevin Durant. Who do you guys think is the better player? We want to hear your opinion! Tweet us @TheUtilityMan17 and let us know your thoughts!